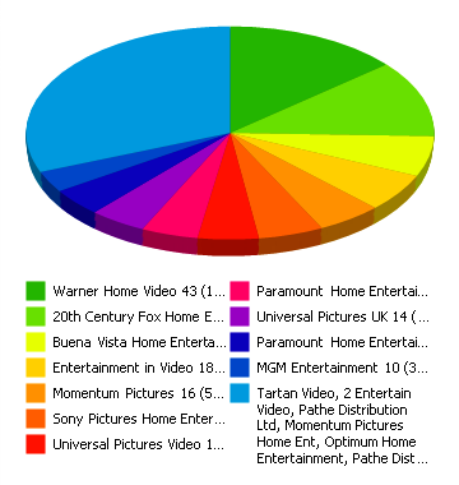 I’ve been a user of MediaMan’s DVD/media collection software since August 2007. Prior to this, I used Delicious Monster for the couple of months I owned a Mac Mini (and I am a paid-up license holder for both Delicious Library & MediaMan). 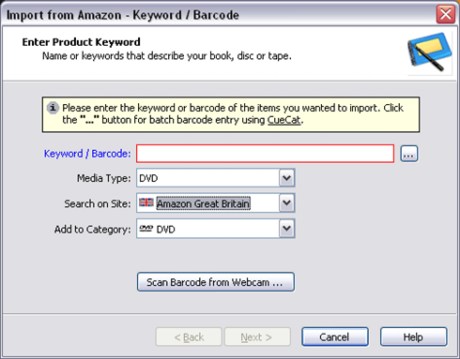 Much Like DL, MediaMan allows you to import your media (be it DVD, Audio CD, Games, Books) either manually or by scanning the barcode using a CueCat. Mediaman can automatically download product specific information from the following Amazon locales: United States, Great Britain, Germany, France, Canada and Japan. 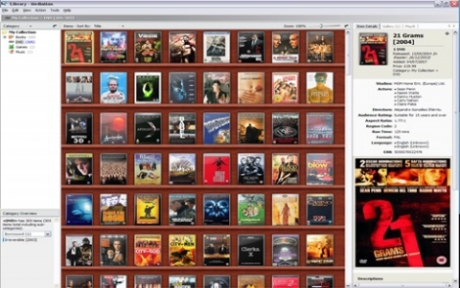 MediaMan also allows you to easily append more data from other sources (such as IMDB) and add more than 1 piece of media art (useful for storing album art for both sides of a CD, for instance). MediaMan allows you to export your data in several formats, including CSV, RTF, plain text (useful for bluetoothing to your phone), Webpage format (ready to be FTP’d to your own website) and rendering a PNG as seen on My Library page. You can also opt to print your entire collection out, however I do prefer Delicious Monster’s take on this. MM version 3 (due to be released in Quarter 3 this year) might offer some improvements in this area. Otherwise known as how-to-keep-a-track-of-your-friends-and-family-who -take-your-DVDs-and-never-return-them. I would guess that I’ve lost between 30 and 50 DVDs in this manner. MediaMan does allow you to check out items from your library, and similar to Delicious Library, updates the cover art of the media to reflect this. I do think that there is real room for improvement here – I’d personally allow the import of contacts (like DL), and have the Library auto-magically send reminder emails when items become overdue. Cost: A single license costs $39.95, but allows you to install the software on two seperate PCs. Best of all, all upgrades are free for life. Our friendly and active community currently has 7,866 registered users, who have contributed 121,525 posts over 8,708 threads. Join in!